Religion is undoubtedly the best venture and money making machine one can invest on now, especially in Nigeria. 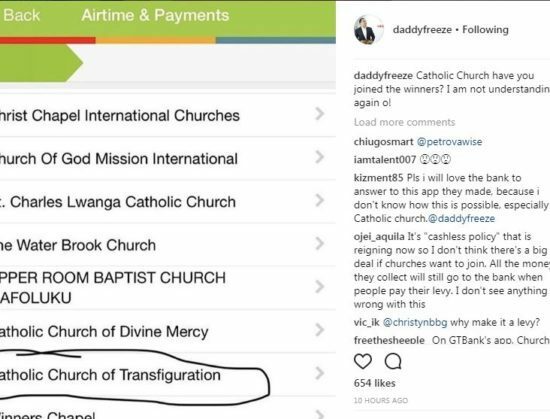 E-payment now lists host of churches for payment of offering, tithes and sowing of seeds. Churches like Redeemed Christian Church of God, RCCG, Winners Chapel etc has been there for long and now the almighty Roman Catholic has joined the leauge. 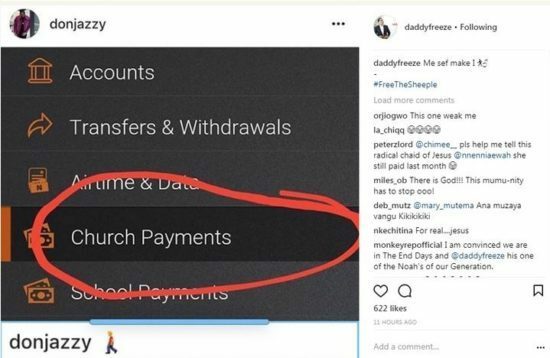 However, OAP Daddy Freeze and Marvin Boss, Don Jazzy has shared photos of Nigerians churches using banks mobile app for tithes and offerings. 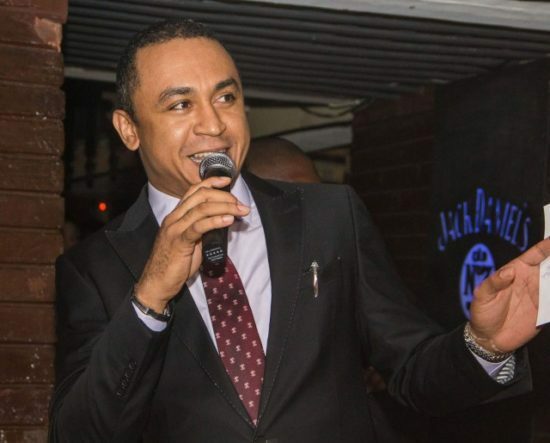 Freeze posted this on his Instagram page.